The Extended Enterprise is the concept that an organization does not operate in isolation, because its success is dependent upon a complex network of third-party relationships. Deloitte suggests that managing the extended enterprise risk with a robust, secure, and integrated technology platform provides the appropriate level of upstream and downstream visibility and accountability that is critical to better performance and risk management. Higher quality information, process optimization, intelligent risk management, and reduced costs ensure that integrating the right information into quality data allows for better decisions. In a timely fashion, with structured process flows, redundant/non-value-added activities are eliminated, activities are streamlined to reduce cycle-time and improve first-passyield. Responsibilities are correctly allocated; processes are tailored to address risks inherent in outsourced operations with consistent application. Most manufacturing companies depend heavily on their supply chains to deliver the right parts, at the right time, and in the right quantities. It is typical to have more than 50 percent of a product?s components provided by suppliers. Accurate customer demand data, both internal and external, and visibility to in-process and in-transit orders has become essential to the overall success of enterprise value chains. Great expectations typically surrounding an ERP system deployment have met with great disappointment. At the end of the day, many top-level global manufacturing enterprises have experienced delayed implementations, excessive cost overruns, poor adoption rates, limited productivity gains, and nominal to nonexistent return-on-investment. ERP systems excel at providing functionality to support back-office support processes such as general ledger, human resources administration, purchasing, inventory management, accounts payable, and accounts receivable; finding manufacturing firms that have realized like-type ERP system capabilities in the areas of production planning and scheduling, production control, quality management, and supply chain management is another story. Whether deliberate or accidental, most manufacturers with global operations admit (after the fact) that there were unclear expectations that the selected ERP solution could provide the tools needed to better manage all aspects of their manufacturing, supply chain, and quality operations. Accurate and real-time visibility, collaboration, execution, and control across extended enterprise value chains require a demand-driven supply chain solution which is ERP vendor agnostic. 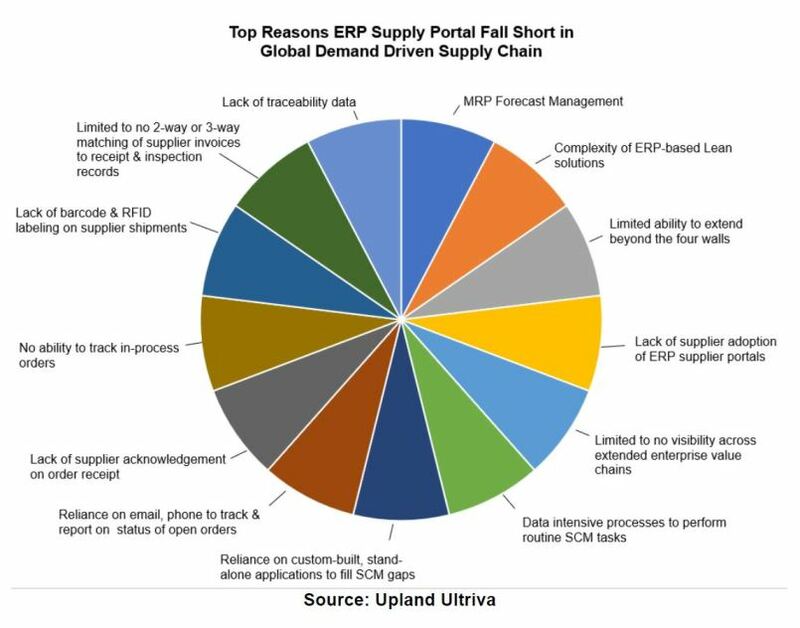 Demand-driven supply chain solutions do not negate the value proposition of ERP but instead leverage and extend the huge capital investments made in these systems. 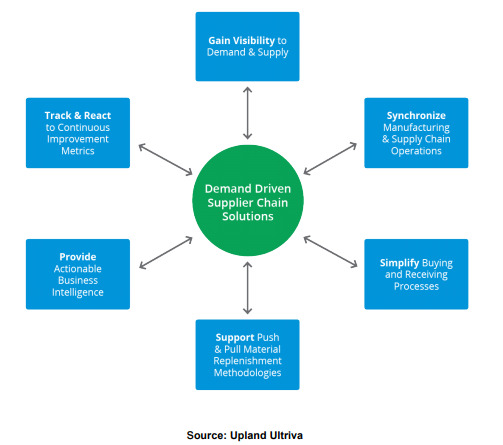 By combining best practices of ERP and Demand Driven Supply Chain solutions, customers benefit from improved on-time-delivery performance, manufacturers, supply chain organizations, and suppliers benefit from improved responsiveness to changing customer demand patterns.